LEAD JUDGMENT: MUDASHIRU NASIRU ONIYANGI, J.C.A. This appeal borders on the offence of dealing with petroleum products without license. This appeal is against the judgment of the Federal High Court Asaba Judicial Division, holding in Asaba Delta State delivered on 19th day of February 2016 in charge FHC/ASB/5C/2014. The fact that led to the arrest and subsequent arraignment of the Appellant is as follows. On the 26th day of September 2013 at about 10.12 hours one Nelson Ashubudike and his team of the intelligence Department of the Nigeria Security and Civil Defence Corps arrested the Appellant and one SHAIBU OGBAGE at Chipet Filling Station along Asaba Benin express way while discharging petroleum product suspected to be illegally possessed. The Appellant was subsequently arraigned with the other suspect before the Federal High Court Asaba on an initial three counts charge. The Appellant pleaded not guilty to the counts. The three counts charge was amended and an amended charge dated 27/2/2012 was filed. He pleaded not guilty to the three counts charge. This charge was again amended and the amended charge dated 2nd April 2014 was filed charging the Appellant for the offence of dealing with petroleum products without license. On the 21st May 2014, the Appellant again pleaded not guilty to the amended three counts charge. Thereafter the matter went through a full trial and in the end, the learned trial Judge in his considered judgment discharged and acquitted the Appellant of count one. The Appellant was found guilty and convicted of counts 2 and 3. The Appellant was sentenced to 5 years imprisonment in hard labour or a fine of N2000,000.00 (Two Million Naira Only) in respect of count 2. For count 3, the Appellant was sentenced to 5 years imprisonment in hard labour with no option of fine. The sentences are to run concurrently. (a) Whether the trial Court was right to hold that the Appellant (Accused Person) dealt with petroleum product on or about 25th September, 2013 without lawful authority and appropriate license in view of the unambiguous content of Exhibits DF1 and DF2 and the wordings of the charge in count 2 respectively. 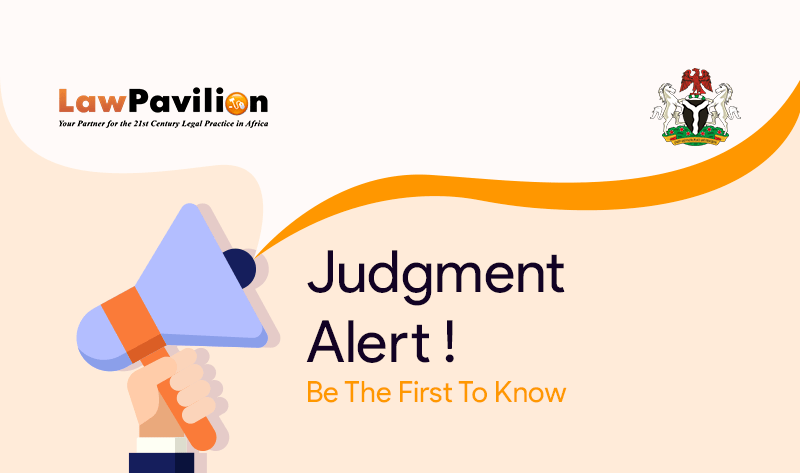 (b) Whether the trial Court properly considered and evaluated the defence of an agent to a known principal as set up by the Appellant before arriving at the conviction and sentencing of the Appellant. (c) Whether the trial Court rightly relied on Section 55(2) of the Evidence Act (2011) in admitting Exhibit G. through the PW2 an officer of the Nigerian Security and Civil Defence Corps (NSCDC), Mr. John Odu. If the answered above is no, whether the trial Court’s reliance on the said Exhibit G to convict the Appellant (Accused Person) with dealing on adulterated petroleum product does not occasion miscarriage of justice. On the whole, the Court found merit in the appeal and accordingly allowed same. The judgment of the Federal High Court, Asaba Judicial Division, in charge No.FHC/ASB/5C/2014 delivered on 19th day of February 2016 was set aside. The conviction and sentence of the Appellant was thereby quashed. The Court ordered that the Appellant should be set free forthwith.